May 2018 | Building Performance Institute, Inc. According to World Vision, hurricane Harvey caused $125 billion in damage last year and ranks as the second most costly hurricane to hit the U.S. mainland since 1900. Hurricanes Irma & Maria followed within a month affecting Florida, Puerto Rico, and the Caribbean and causing a total of $140 billion in damage. Help homeowners in your community by getting the BPI Healthy Home Evaluator certification. An HHE Certified Professional can address common hurricane-related issues such as mold, mildew, dampness, and structural issues. To ensure the home is as durable as possible before hurricane season, these issues (ideally) would be addressed by an HHE, with the homeowner, now. When talking with your customers, remind them to check that they have sufficient home insurance and that it covers floods and house damage from hurricanes. For more information from FEMA regarding flood insurance, please click here. Suggest to your customers to clean out their gutters and downspouts or to have a professional do it. If your customers’ gutters are blocked, the water can get under the roof covering and damage the roof. The Federal Alliance for Safe Homes (FLASH®) advises that homeowners check their roofs for missing or loose shingles and replace them before hurricanes. Your customers can use a pair of binoculars to help inspect the roof. The homeowner should call in a roofer before hurricane season. Or, they should get a qualified roofer to inspect the roof and provide a report and estimates for any needed fixes. For more info, check out their post. Volunteer for the American Red Cross, Habitat for Humanity, or other disaster aid organization. Ask your company for vacation to support you going into field to volunteer in your local community or another hurricane-prone area. Read about BPI Certified Professional, Kevin Byrnes, experience volunteering last year in Texas. May 7th Test Center and Proctor Update Call: Thank you to all the BPI Test Centers and Proctors for joining our May 7th update call. Missed it? Please listen to the recorded version of the call in your Test Center Account. Energy Auditor (EA) and Quality Control Inspector (QCI) exam pilots: From our emails, you likely have heard about changes to the Energy Auditor (EA) and Quality Control Inspector (QCI) certifications. These two Home Energy Professional (HEP) certification exams have come up on the ANSI required 5-year cycle for review by a group of subject matter experts (SMEs) for relevancy to the current industry. If you have questions, please contact hepcertification@bpi.org. Looking for CEUs? You can check out the current pre-approved CEU offerings (training, conferences, webinars, classes, etc.) by clicking here, or at any time by heading to bpi.org, clicking on the red "Login" button on the top navigation bar, scrolling down to "Testing and Continuing Education Accounts" and hitting the blue "Log In" button, and finally hitting "Find CEU Courses." Changed your address, phone number, or email recently? Please be sure to update your contact information in your account so we can contact you with important updates. BPI's Larry Zarker (CEO) and Jeremy O'Brien (Technical Relations Representative) will be at the Energy OutWest Conference in Phoenix, Arizona on May 21-25. Register to attend and say hello at the booth! We had 1,400 attendees at the 2018 HPC National Home Performance Conference in Philadelphia from April 23-26, 2018! There were over 60 exhibitors and 30 sponsors. 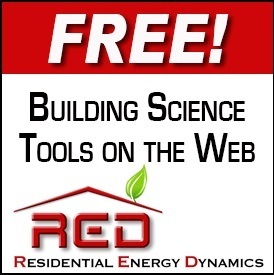 We offered 18 tracks and 135 sessions/workshops with 200 skilled expert presenters who work within the home performance and energy efficiency industry. We'd love to hear from you! Please take a few minutes to fill out this survey on your experience at HPC National this year. To read more about HPC National, check out this blog recap of the conference from Jim Gunshinan of Home Energy magazine. The Home Performance Coalition (HPC) is a 501(C)(3) nonprofit organization that works with industry leaders in the home performance and weatherization industries. HPC collaborates with like-minded organizations to ensure all homes are healthy, comfortable, and energy-efficient. Last month's stumper was kind of morbid, but John Herring, Energy Specialist at CLEAResult had the best answer. As a reminder, a young mother of two small children noticed that the chemical dot on her CO detector had changed color. She called the fire department, which found that, when they turned on her furnace, she had 139 parts per million (ppm) of carbon monoxide in the basement. A heating contractor came in and discovered that the chimney was plugged with dead birds. He cleared out the birds and replaced the old chimney with a new metal vent. Just a week after the problem was "fixed," the family's new carbon monoxide detector indicated that CO levels were 39 ppm. John says, “I've seen a bird perch at the lip of a chimney that had a rather low-set rain cap over it. The bird was there for just a few seconds, when BLOOP! It tumbled backward into the chimney. My best guess for the original problem is that the amount of CO coming out of the appliance probably was too high to begin with, and was still high enough at the chimney top that it overwhelmed the creatures perched there, and they fell in. Also, if they are swallows or another cliff-nester, they could be nesting on the INSIDE wall of the chimney in summer and autumn, then when the first cold day comes, the heating goes live and asphyxiates them. I'm assuming that the second indoor CO buildup was caused by another exhaust blockage, like the first." John was correct. The issue following the clean out of the dead birds from the chimney was that the old furnace was out of adjustment, in poor repair, and producing over 3,300 ppm of CO in its flue gases. The 39 ppm was caused by the slight spillage of flue gases into the home. Thank you to everyone who submitted a response. Can You Figure Out May's Stumper? This month's stumper comes from an apartment renter with a Williams model gravity wall furnace that keeps cutting out. The heater was judged to be too sooty with a high yellow flame by the local utility, so the gas was disconnected. The landlord eventually had an HVAC contractor come out to clean the whole apparatus, flue and all. It worked for a while then would quit. It would restart when the renter turned up the White Rodgers thermostat, run for a cycle up to desired temperature, then quit again. It's obviously difficult for the renter to reset the thermostat at night while they're sleeping, so the furnace would kick off for the whole night. A different HVAC expert came out and said the voltage or watts of the thermostat didn't meet standards and changed the thermostat to a simpler version. The heater ran for a while but quit regularly like it did with the old thermostat. What is causing the heater to cut out?